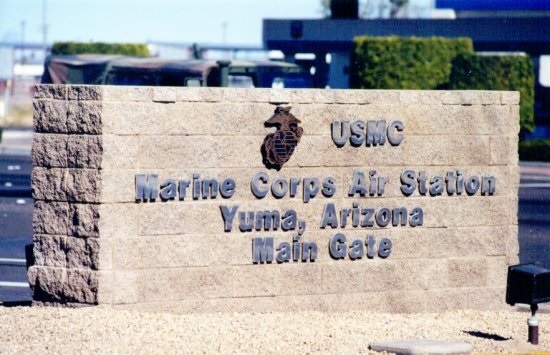 Marine Corps Air Station Yuma is located in the southwest corner of Arizona bordering California and Mexico. Yuma is exactly 178 miles from San Diego, CA and Phoenix, AZ. Yuma has become one of the fastest growing cities. Military personnel assigned to Yuma will find the community both supportive and friendly. Cost of living is moderate. Yuma is one of the oldest cities in the Southwest. MCAS Yuma was established in 1928. During World War II, 1943, an air base was erected with the astounding speed which characterized the war effort. The base became one of the busiest flying schools in the nation, training pilots of AT-6 single engine trainees, T-17 multi-engine trainers and B-17 Flying Fortresses. At the end of the war, all flight activity here ceased and area was partially reclaimed by the desert. On July 7, 1951, the Air Force reactivated the base, and the 4750th Air Base Squadron resumed training as part of the Western Air Defense Forces. The airfield was named Yuma Air Base. The facility was signed over to the Navy Jan. 1, 1959, and nine days later, Col L. K. Davis became the first commanding officer of the newly designated Marine Corps Auxiliary Air Station. On July 20, 1962, the designation was changed to Marine Corps Air Station. 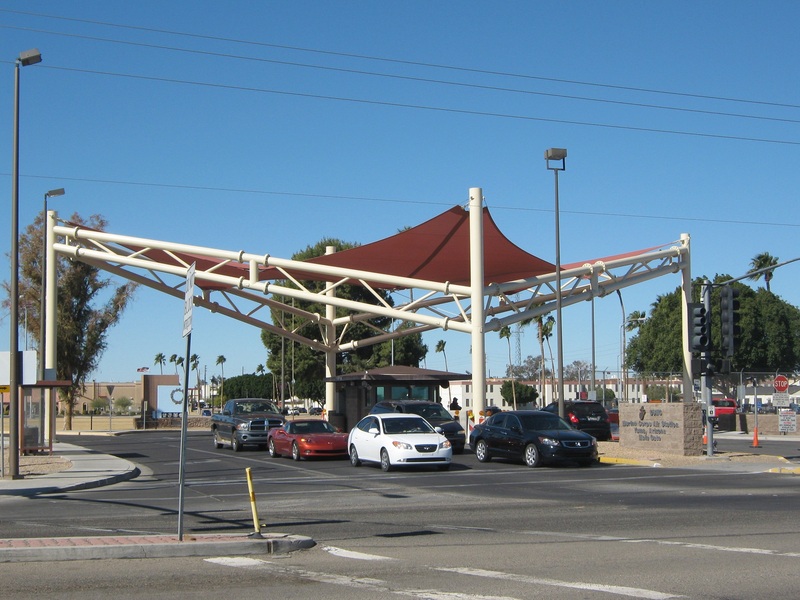 MCAS Yuma serves Marines, families, DoD employees and retirees. There are currently 14 commands that serve aboard MCAS Yuma, 15 commands by the end of 2015, for a total of 4292 military, with at least 5531 family members and 2172 Civilian Personnel, a total population onboard station of 11,995. Contact a local Certified Military Relocator Agent who could also assist you in all you off base housing needs.